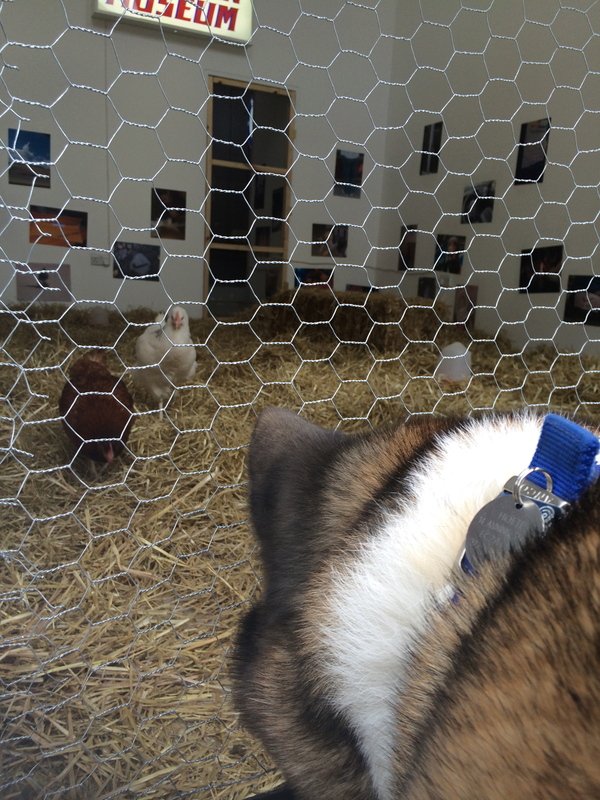 Chiba, a Japanese Akita rescue dog and a roving ‘barkitect’ sniffs out spaces of interest… \,,,,> My daily walk down Bethnal Green Road to Shoreditch work takes me past the Chicken Museum (see Review here) and Lady Dinah’s Cat Emporium, London’s first cat café. Being Japanese, I am familiar with animal cafés from back home whereby such cafés are popular due to tenancy laws forbidding animals – in Tokyo’s bustling Shibuya district, the Sakuragaoka Café lets customers spend quality time with two special goats! On her website, Lady Dinah claims that animal welfare is the backbone of her business: “We love animals, our customers love animals and looking after our cats is the biggest priority we have.” This has lead to extensive consultation and research with a range of experts and reputable sources leading to the production of Lady Dinah’s Standards of Practice for Housing and Caring for Cats in a Cat Café Environment. Of course, having a Cat Emporium in East London maintains the historic legacy of The Cat Lady of Spitalfields who devoted her life to feeding the stray cats of Brick Lane. Unsurprisingly, her favourite café was in Cheshire Street. 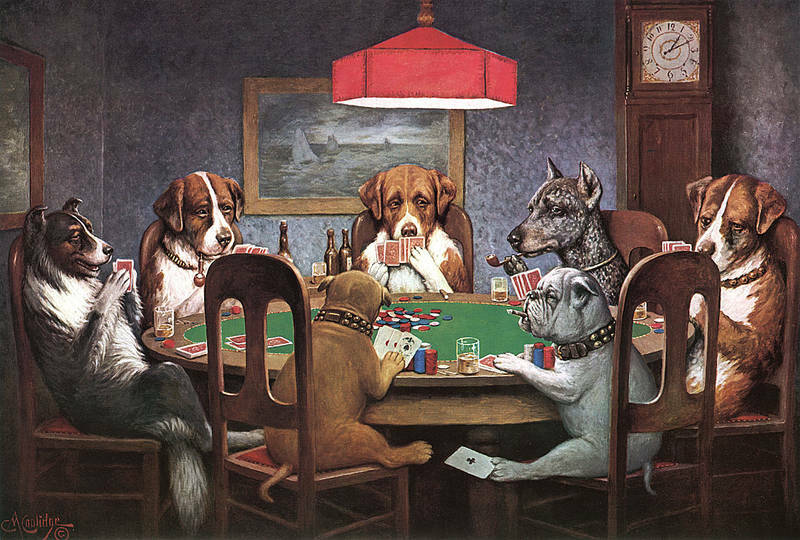 Next up, the House of Hounds Dog Café set to open in Shoreditch this summer… featuring, in the best traditions of cassius Coolidge’s canine poker, further dog portraiture. Chiba, a Japanese Akita rescue dog and a roving ‘barkitect’ sniffs out spaces of interest… \,,,,> I walk with my nose close to the pavement. 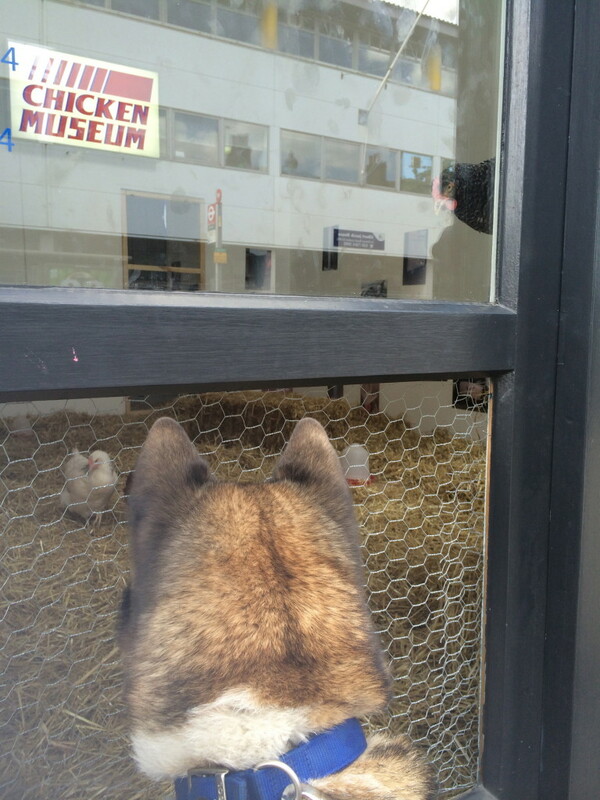 I was surprised to smell a live hen coming from a shop. 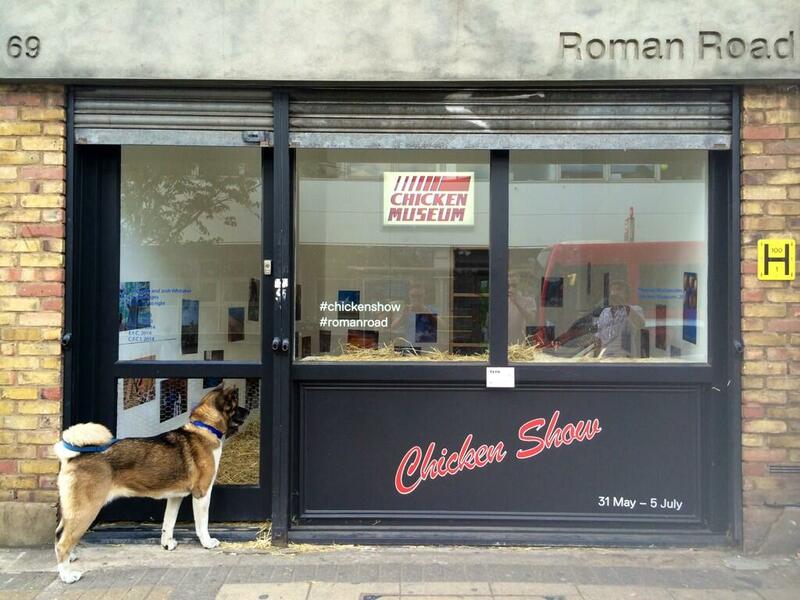 Except this shop is a gallery with a show called Chicken Museum. Imagery from the web typical of that which saturates our everyday lives is placed next to real live chickens in a bizarre artistic ‘pen’ which is at once a ‘museum’ and a living environment. 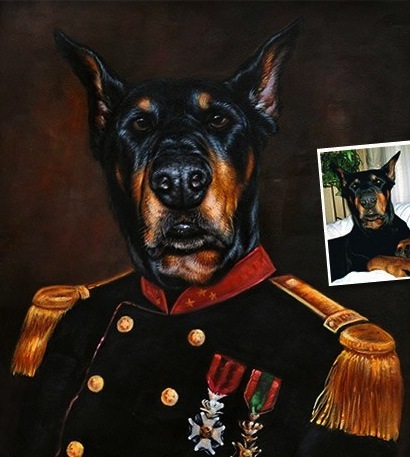 Offsetting this artistic juxtaposition of art and animal is the garish trash aesthetic of everyday fast food consumption.